Given the popularity of vengeful cinema – Simmba, Uri – and the strain of hateful politics bearing down on us, Aamir Khan’s Rubaru Roshni is that rare film that advocates and asserts the novelty of forgiveness. omewhere in the middle of the documentary Rubaru Roshni, a farmer Samandar Singh uproots a developing shrub of onion. “This won’t grow,” he says before breaking the stem at the base and planting it again in the wet earth. It is a moment that metaphorically encapsulates the strange and overwhelming world of this film – a world of second chances. Produced and narrated by Aamir Khan, the palette of Rubaru Roshni refuses to abdicate hope. Violence, the film says, has as much a forgivable history as it stands the chance to have a forgivable future. Violence need not repeat itself, so to speak. 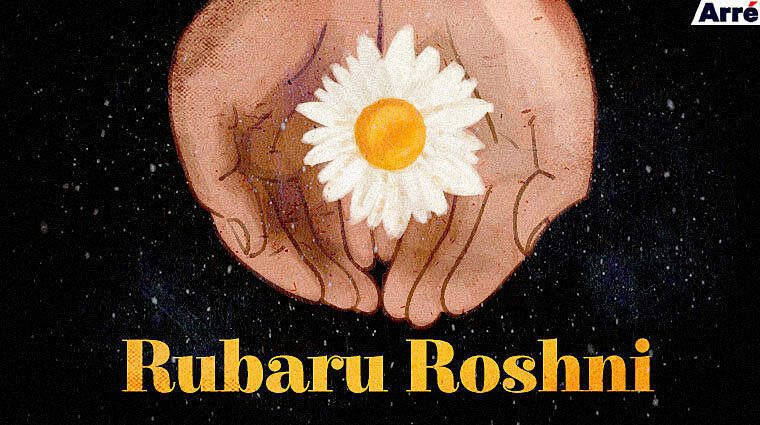 Given the popularity of vengeful cinema – Simmba, Uri – and the strain of hateful politics bearing down on us, Rubaru Roshni is that rare film that advocates and asserts the novelty of forgiveness; a film that, for a change, asks the viewer to show a spine, instead of spite. Rubaru Roshni doesn’t just wrap remorse as a sentiment that the viewer must consume, as drama over two hours. It goes deeper. Gill recalls how Maken’s wife “leaped” over her husband when he shot him. Avantika talks about how she has been seen as an orphan all her life. Not just detail, Bhatkal’s socialist eye manages to unpeel layers of the closely worn class and caste systems of the country as well. Staying true to its template, the film’s three stories naturally end in cathartic absolution. Bhatkal’s third, and perhaps, the weakest of the three chapters tells the story of American national Kia Scherr who lost her husband and daughter in the Mumbai attacks of 2008. Devoid of the agency that the perpetrators’ voice brings to the first two chapters (although the film does offer grainy footage of Ajmal Kasab’s intoxicated confessions), this part feels thin and fails to elevate itself above familiar formats of television news. Though nuanced in context – terrorism – it would have best served as the middle of the film. That said Bhatkal has done well to draw stories from three different decades of violence, and a diverse geography – from Punjab to the US. In a world where true- crime documentaries mine thrill from blood and gore, Rubaru Roshni performs a post-mortem like no other, on the carcass of violence. A lesson, Bhatkal finds, has been learned on both sides of the narrative. Staying true to its template, the film’s three stories naturally end in cathartic absolution. Avantika forgives Kukki, Maria’s sister forgives Samandar, and Scherr finds purpose in training people to do the same. If I had to pick a bone with this film, it would be Aamir Khan who precedes the film with a monologue that intends to cajole the viewer into submitting their intestines for a taste of Aamiresque pain. His narration is timid and surprisingly dramatic, as if trying to make the point – “I can feel this pain, no really, I can.” Khan’s needless presence and his now famous attitude of urgent compassion derails well before it can help the film in any way. Largely because Rubaru Roshni stands on its own, as an atypically arresting Indian film that demands much more than the platitudes of violence and revenge we are familiar as a nation with. It demands the courage to forgive.